Are you confused by the concept of SEO? We’re not surprised. SEO used to be a lot simpler, focusing mainly on keywords and outbound links used on your site. Now however, your ranking can be impacted by a range of different factors all of which fall under the SEO umbrella. The speed of your site, bounce rate from clicks, optimization level for mobile use, security software, keyword density and various other factors could cause a change in your ranking. Of course, you have probably heard that fixing issues like this costs a fortune. But it doesn’t have to. Join us as we cover some easy to follow free SEO tips that could improve your rankings and help you avoid an SEO penalty. One of the most basic aspects of any SEO campaign is selecting the right keywords. Keywords help you optimize your site to make sure that it matches what search engines are looking for. That way it will show up for the users searching for products, services or content that you are offering. 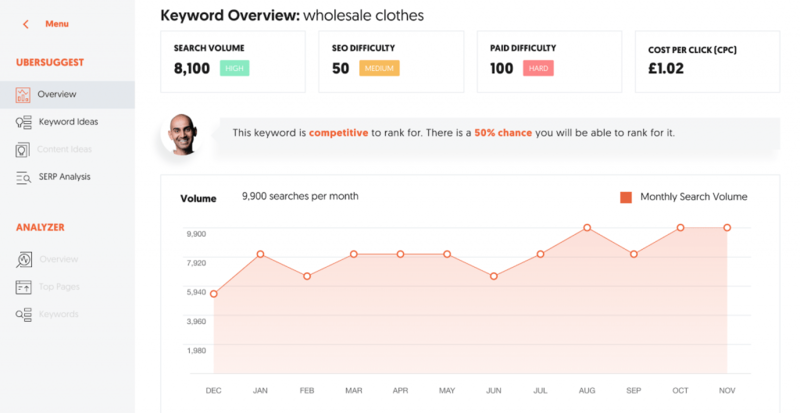 Unsurprisingly, wholesale clothes is a highly competitive term, particularly for paid SEO. Interestingly, organic SEO is only at 50 and you can see that the term has risen in popularity through November, potentially for the build up to the Christmas shopping period. The site also provides some fantastic alternate suggestions you can target that are less competitive. Once you have explored the type of keywords that you should be targeting, you should perhaps consider what users are looking for when they reach your site. 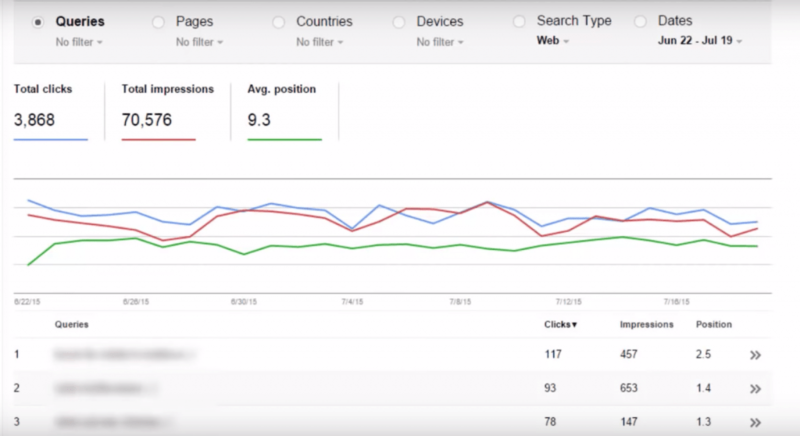 Google Webmaster Tools is a free option that any website owner can use to find out some key details about how their site is performing. You can explore everything from the search queries people have used when they have accessed your site to crawl errors. Remember, if there is a problem crawling your site, it’s far less likely to be indexed higher in the SERPs. For instance, you might have inaccessible pages on your site. This tool shows you the areas that must be fixed. Google will also provide you a full list of the keywords they find that your site has been optimized for. If this doesn’t match the list of search queries google provides there is an issue with your SEO campaign that needs to be resolved. Speed is definitely going to be a major factor you must consider. If your site is too slow, you are going to struggle to get the level of engagement from users you want. They’ll click away if your website takes more than a few seconds to load a page. Speed can be due to files being too large and this is why many sites tend to avoid uploading images or videos that take up too much data. If you want to check the speed consider using gtmetrix.com. 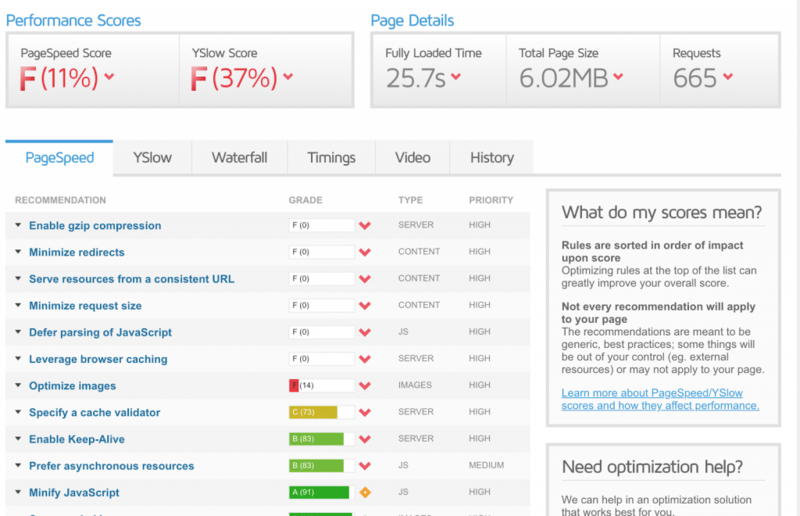 This tool will tell you how well your site loads for users and the areas you can improve the performance. As you can see, the site we tested has a terrible performance for loading speeds and the 25.5s full loading time is well over double the average. This tool also shows where the issues are and one example would be image optimization. Closer inspection will show that various images used on the site in question need to be reduced in size to ensure that the page loads effectively for the majority of readers online. Links are probably one of the most important aspects of an SEO campaign. You need to know how many sites are linking to your you and using your pages as trusted resources. The more this happens, the higher your ranking is likely to be. Particularly if the sites connecting back to yours have a high domain authority. 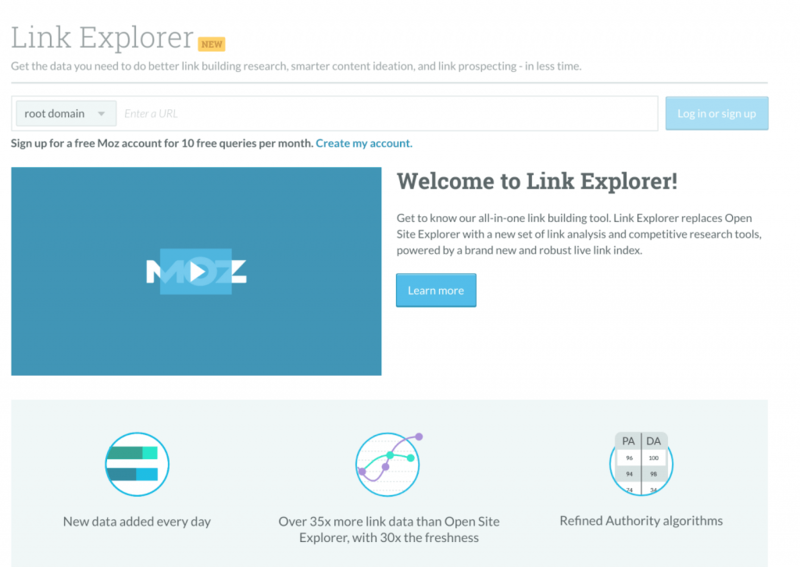 If you want to check this, you can use Moz Link Explorer. Free to use (up to 10 queries per month), this tool will allow you to check your links and the links of the competitors. Dive deeper and you’ll discover exactly what links are helping competitors. Once you have the stats, you’ll be able to build your own links up, potentially by targeting the sites they are connected to. Broken links internally and externally can really drag down your site. Internet Ninja Marketers provides a free tool that you can use to comb through your entire site and find dead links that you can then fix, potentially boosting your ranking. You can also look at the broken links on a site you want to be linked to. Find the broken links, quickly notify the site owner and politely suggest a page on your site as a great alternative. It’s always useful to get a different perspective when you’re trying to find a solution to an issue. Well, that’s exactly what you can do with BrowSEO. With this tool, you can cut the rubbish out of a site that you’re viewing online and see a page with the key aspects related to SEO highlighted. It’s easy to use and will provide examples of where your site needs to improve to make sure that you rank. Finally, it’s easy to fall into some poor SEO tactics but you do need to avoid these at all costs. It could ultimately result in your site receiving a penalty that will lead to a difficult recovery. The biggest risk of this comes from using anchor texts too many times on a page or keyword stuffing. Are you worried you might have crossed this line? Remove ‘Em is the best tool for the job. It will check your site for this type of issue and provide you with a clear report that you can work with to fix the problem. We hope you find these simple SEO tips useful as a beginner and it allows you to get your business website on track for a higher ranking. If you have any questions feel free to leave a comment below.